A powerhouse of dynamic control in a single Plug-In that features six independent processes for precision dynamic sculpting of your tracks. From subtle control of a vocal, to a pumping side-chained effect; from lightning-fast gating and precision expansion to peak level limiting of single tracks and buses alike. Sonic clarity at all times – with the option of tube-like harmonic saturation when you need it. The Oxford Dynamics is also available in the following money-saving bundles. "Oxford Dynamics is a real Swiss Army knife of dynamic control..."
"..all the tools needed for routine dynamics processing in one package." 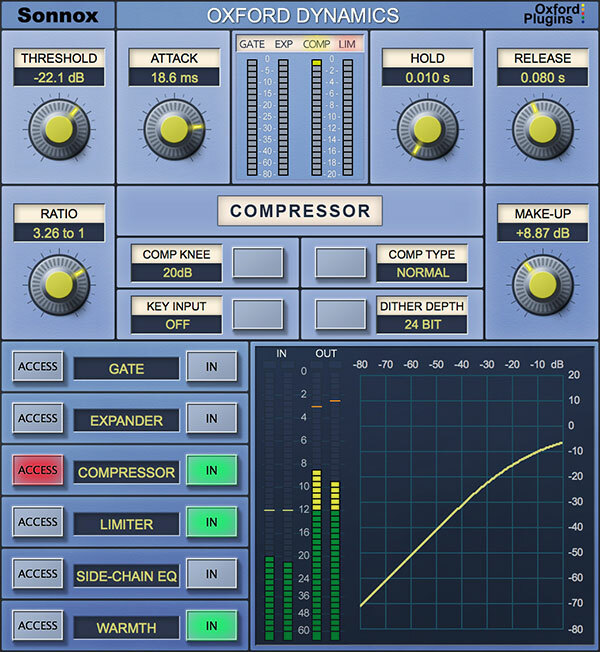 "...my first 'go to' compression/limiter/expander tool for very subtle, nearly invisible control."